Your correspondent Mr Horne (Observer letters, October 5) is right to voice a large degree of scepticism over the claims of the Conservative candidates regarding on-street parking in Battle. 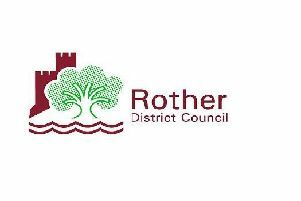 Rother’s Conservative administration has, for years, obstructed all efforts to introduce more flexible parking arrangements for local residents and to reintroduce wardens to control illegal and unsafe parking. However, it is not because of who is elected, as the parking problems in Lib Dem Battle are replicated in Conservative Rye and Bexhill too. The real difference in Battle is the pressure that the Lib Dem Councillors have applied to the Tory majority to force change across Rother. You will remember that last year my Lib Dem colleague Cllr Kathryn Field organised a petition to call for the reintroduction of parking wardens throughout Rother in order to reduce illegal and dangerous parking. This was enthusiastically supported by the residents of Battle and delivered to Rother by Kathryn, and recorded on the front page of the Battle Observer. Eventually Rother’s Tories agreed to seriously consider the matter and agreed to support parking controls and enforcement. Once the legal formalities have been completed – the scheme should start hopefully late next year, together with much more affordable residents’ street parking permits. We shall of course continue to press for more parking concessions to support local residents and to help our High Street businesses.